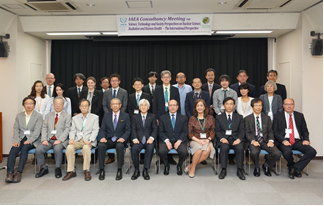 IAEA-Consultancy Meeting took place at Hiroshima University’s Koujin Kaikan Conference Hall on May 23rd and 24th, 2017. Since the Fukushima Daiichi Nuclear Power Plant accident, the International Atomic Energy Agency (IAEA) has held four consecutive annual STS Meetings, which focus on the role of experts in STS and social scientific approaches, as well as the education of leaders who are able to meet the challenges of radiation and its impact on human health. The IAEA launched the meetings in collaboration with the National University of Singapore (NUS), Nagasaki University, and Hiroshima University, and soon after that it has also involved Fukushima Medical University. The IAEA is one of the most important associated institutions for the Phoenix Leader Education Program. 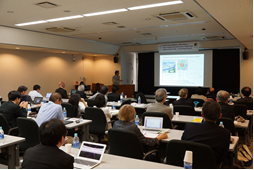 Hiroshima University co-hosted the first meeting of the STS series in 2014 and again took the role of a host institution for this year’s fourth annual meeting. The main theme of the fourth meeting was “STS Perspectives on Nuclear Science, Radiation and Human Health – The International Perspective”. The invited experts gave oral presentations and actively discussed the results of the STS project, the project’s needs to move forward, and the international view towards the future. Dr. Kamiya, the director of the Phoenix Leader Education Program acted as the official representative of the host-institute, Hiroshima University. Two Phoenix Program students gave oral presentations during a session entitled “Education and Human Resource Development in the Field of Renaissance from Radiation Disaster”.